Law enforcement sources state that his visits were great for morale considering the recent tensions. The Philadelphia native has been keeping himself busy but according to a recent rumor, the 47-year-old’s son, Jaden Smith, died. Anyone who uses the internet understands that it’s full of myths, lies and misinformation. So did Will Smith’s son pass away or is this another urban legend? There’s no way that his father would be able to keep himself so busy if his son recently passed away. The actor and producer’s son is alive. He just celebrated his 18th birthday. As mentioned above, the actor dropped by “The Tonight Show Starring Jimmy Fallon” on Thursday. As usual, he was hilarious. The Fresh Prince shared a story about Jaden. 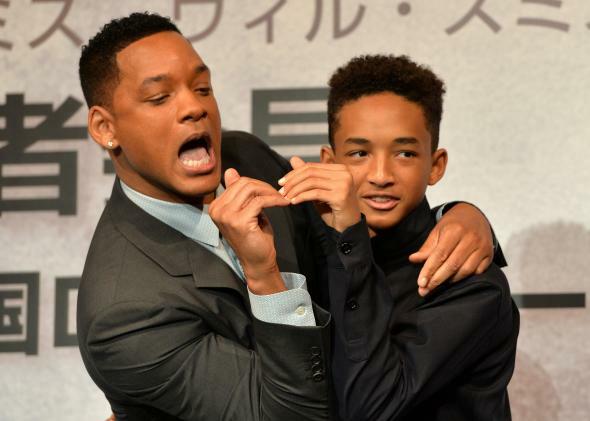 For his 18th birthday, Jaden invited his family to London where he was promoting his new show. The family went to dinner and Jaden ordered a tequila but his dad intercepted the request. He explained to Jaden that he needed to be 21 to drink. Jaden explained to his father that the drinking age in England was 18!